Canadian rock legend Neil Young and 23-year-old Toronto rapper Drake each received two nominations for the 2010 Grammy Awards on Wednesday. 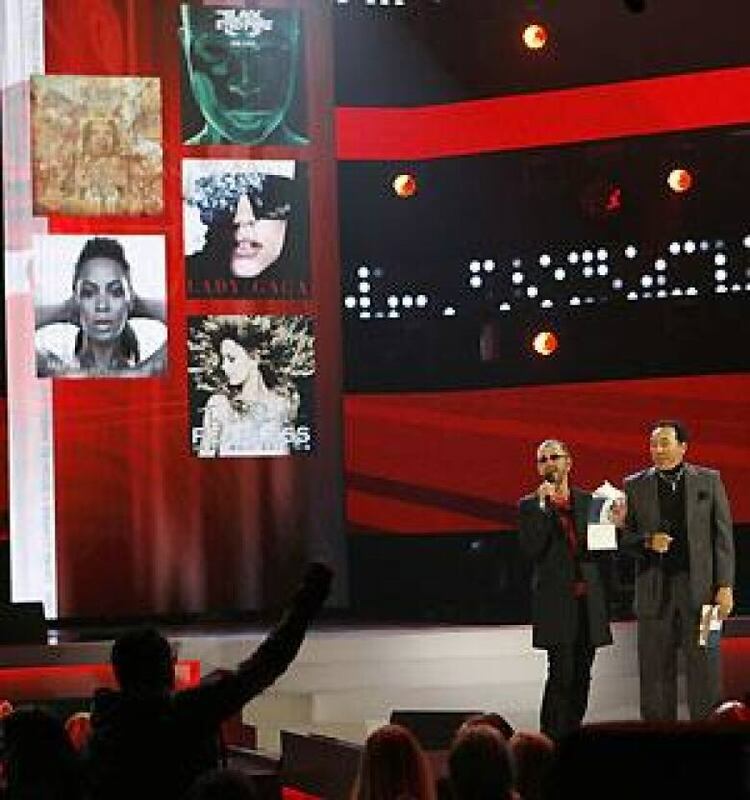 Ringo Starr, onstage at left, and Smokey Robinson announce the Grammy nominees for album of the year, as Will.i.am of the Black Eyed Peas responds from the audience, in Los Angeles on Wednesday night. ((Danny Moloshok/Reuters))Canadian rock legend Neil Young and 23-year-old Toronto rapper Drake each received two nominations for the 2010 Grammy Awards on Wednesday. Michael Bublé, Nickelback, Melanie Fiona, David Foster and Michael J. Fox were also among the high-profile Canucks who earned Grammy nods as the Recording Academy unveiled a handful of nominations for its 109 categories during a prime-time CBS special in Los Angeles. Beyoncé, meanwhile, has enough Grammy nominations for her and her Sasha Fierce alter-ego. The omnipresent diva garnered the most nominations with 10, including nods for album of the year for I Am … Sasha Fierce, song of the year for her anthem Single Ladies (Put a Ring on It) and record of the year for Halo. Country crossover sensation Taylor Swift wasn't far behind Beyoncé, getting eight nominations, including album of the year for her multi-platinum sophomore disc Fearless, song and record of the year for her hit, You Belong With Me. Another diva was also nominated in all three categories: Lady Gaga. The eccentric entertainer, who had five nominations overall, garnered a best album mention for her debut CD, The Fame, while her Poker Face got nominations for record and song of the year. 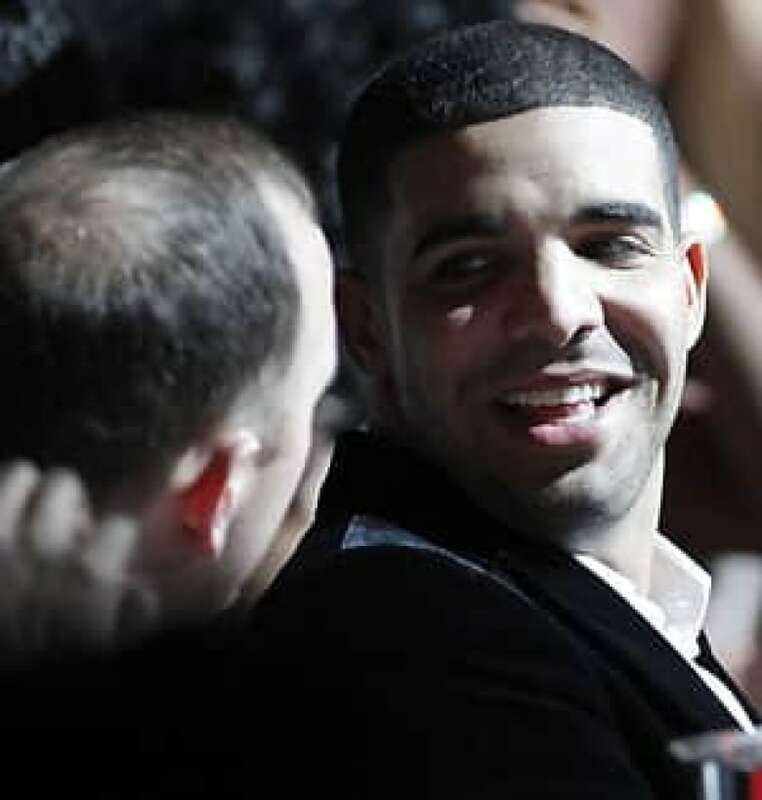 Drake — whose real name is Aubrey Drake Graham — is up for best rap song and best rap solo performance for his breakout hit, Best I Ever Had. The song was culled from his mixtape, So Far Gone. Drake doesn't have an official album out yet. "Being a kid from Toronto, I'm just proud, man," Drake said when interviewed during the show. "I know my mom's at home, buggin' out." Young, meanwhile, is up for best solo rock vocal performance for the title track from Fork in the Road and best boxed or special limited edition package for his expansive archives collection. Young, who has never won a Grammy, will also be feted as the MusiCares Person of the Year in a dinner gala on the eve of the Grammys, which will be held on Jan. 31. Other nominees for album of the year include the Black Eyed Peas' The E.N.D. and Dave Matthews Band's Big Whiskey and the Groogrux King. The Black Eyed Peas were also nominated for record of the year for their feel-good song, I Gotta Feeling, while the Kings of Leon were nominated for Use Somebody. The Kings of Leon hit was also nominated for song of the year, as well as Maxwell's comeback hit, Pretty Wings. The Black Eyed Peas, Maxwell and Kanye West got six nominations each, while Jay-Z and DJ David Guetta got five. The country act the Zac Brown Band was nominated for best new artist, along with R&B siren Keri Hilson, rockers MGMT, the punk duo the Ting Tings and the rock group the Silversun Pickups. The year's most popular new artist, Lady Gaga, wasn't in the category because she wasn't eligible. Her single Just Dance had been nominated last year, before she was a platinum-selling act, and previous Grammy nominees can't be nominated in the category. Recording Academy president Neil Portnow said that scenario won't likely happen again: "There will be some changes so that that particular situation won't repeat itself." The nominations for the Grammys were unveiled as part of a prime-time CBS special. It was the second year in a row that the Recording Academy revealed a handful of its 109 nominees during a televised concert. In the past, they had been announced during a morning news conference. But Wednesday's special gave nominees the chance to perform, including the Black Eyed Peas, who sang their ubiquitous I Gotta Feeling, and provided face time for CBS's personalities, like LL Cool J, the rapper-actor who stars on NCIS: Los Angeles. Also, Maxwell performed a tribute to Michael Jackson during the special. Several celebs were highlighted in nonmusical categories. Jimmy Carter and Fox were among those recognized for their spoken word albums, while David Hyde Pierce and Ed Asner were both nominated for their children's spoken word albums. "Weird Al" Yankovic, Stephen Colbert, Patton Oswalt, Kathy Griffin, George Lopez and faux rock band Spinal Tap will vie for best comedy album.